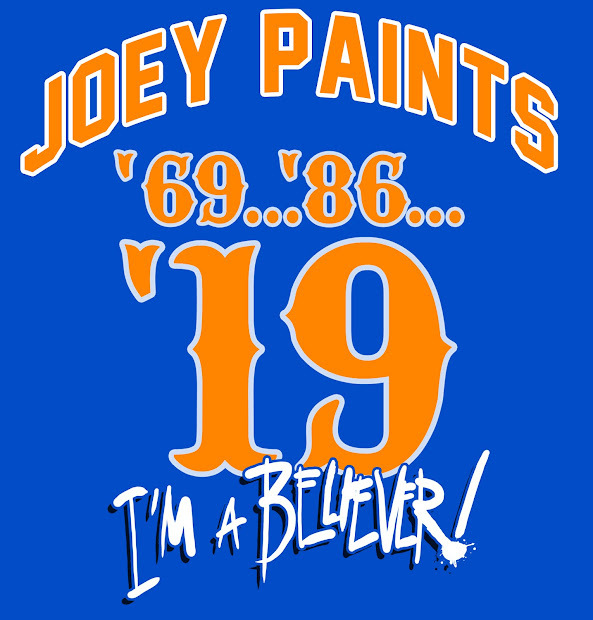 I know this isn't Mets related, But I felt I had to honor a great champion. I met Joe Frazier back in 1975 when I was 17. He was amazing. Very impressive. He autographed a few drawings for me. He said, " Wow, You're like LeRoy Neiman.Keep at it. I'm sure I'll see you again. " I left feeling great. Now, I believe there are things that are meant to be. People meet because they are supposed to meet. Things happen for a reason. Nothing is a coincidence. This past week I was supposed to do a signing with him on a limited edition piece from a painting I did. The other day I got a call from my publisher, who told me to send the pieces back. Joe wasn't going to be signing them. Last night when I heard the news , a chill ran thru me. I didn't get to see him. I guess it was almost meant to be. 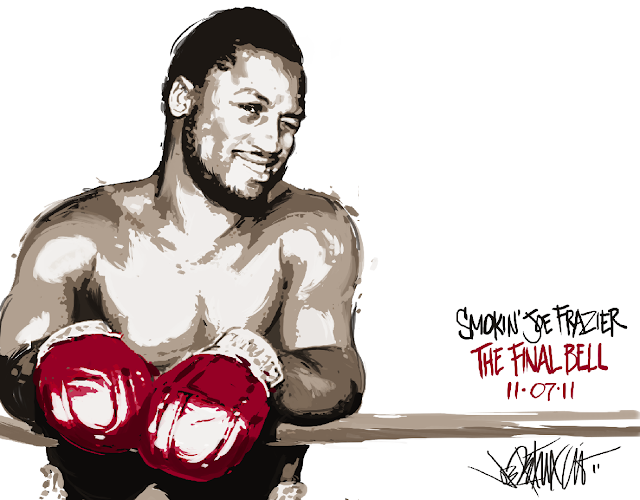 Rest in Peace Smokin' Joe. I will see you again. That's a terrific drawing, Joe, and a great story. That meeting in 1975 was meant to be. Sounds like he provided some inspiration to you to pursue your artwork at a young age, and I'm sure it gave you confidence going forward. You're smokin' with the brush and he clearly recognized your talent. anybody else expecting an illo for the new unis or the ballpark changes?